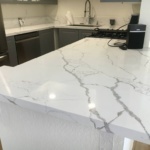 Introduction of Engineered Quartz Stone– Natural stones, especially granite, have been used for flooring and countertop material in high-end homes for its beauty and elegance. However, even though it is very durable, scratch and heat resistant, it has other inherent less desirable characteristics. They are naturally porous and are prone to staining by oils, acids and some cleaning products, especially if they are not properly sealed or resealed periodically. It also contains tiny pits and natural fissures that may appear to be cracks, although these are inherent features. Besides, they are subject to tone variation and it is not easy to achieve smooth transition in the range of shades when it is used in large areas. An alternative to natural stone is engineered quartz stone which is also durable but without the less desirable characteristics of natural stone. Quartz is a naturally occurring silicate mineral composed of silicon dioxide (SiO2). It is one of the most common and available minerals on the earth’s surface. It ranks 7.0 on MOH (Measurement of Hardness) scale, behind topaz (8.0), sapphire (9.0) and diamond (10.0). WHAT IS ENGINEERED QUARTZ STONE? 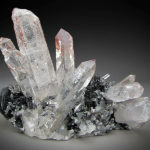 Quartz exists naturally in clusters and does not form huge stone blocks like granite (which contains 40% – 60% quartz), limestone or other types of rock. 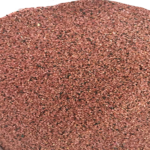 This makes it unsuitable for use in its natural state in countertops or other large slab applications. This means that it needs to be converted into another form i.e. engineered stone, to make it usable in such applications. Engineered quartz stone (also known as reconstituted or re-composed stone) is manufactured from a mix of quartz aggregate chips, a resin binder (typically unsaturated polyester), pigments and additives. Engineered stone slabs and countertops are available in a wide range of colors, patterns, and even textures. Its texture can be fine or coarse, depending on how it is processed and can be combined with glass and other reflective materials for a sparkling finish. They are increasingly popular in high-end applications combining the benefits of granite’s durability and non-porous nature of quartz. The manufacturing process begins with selection of raw quartz materials. They are crushed and blended in the ratio of 93 % quartz aggregates to 7% polyester resin and other additives. The mixture is compacted into slabs by a vacuum and vibration process of approximately 100 seconds at a pressure of about 100 tons. This process minimizes porosity and reduces water absorption. The slabs are then cured in a kiln at a temperature of 85 degree for a period of 30 minutes to attain the essential properties of resistance to stain and impact. The curing process may be accelerated by using ovens or steam. When curing is completed, the slabs are gauged, calibrated, polished and prepared for packing. As the manufacturing process allows uniformity and consistency in dimension and shade, pre selection effort (also known as dry-lay – a common practice when using natural stones) is minimized. This saves considerable time during construction. The high MOH score and better scratch resistance properties make the material suitable for commercial flooring applications where traffic and abrasion factors are high. Most patterns of engineered stones resemble natural stone, but with a consistent pattern, texture and color. Thus flooring or countertops have a uniform appearance. The hard, non-porous surface retains its polished lustre and does not need sealing treatment on the surface. It can also be cleaned and maintained with normal or soapy water. 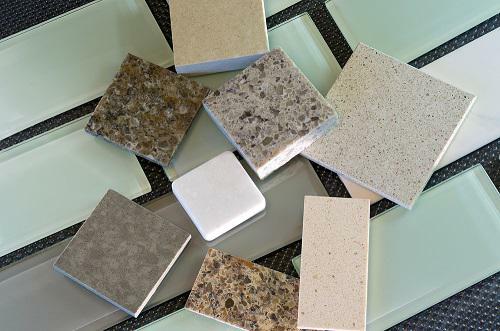 In addition to kitchen countertops, engineered stone products are suitable for shower and tub surrounds, vanity tops and other surfaces in wet areas, unlike porous stones, which can foster bacteria growth. They are therefore ideal for locations such as commercial buildings, canteens, hospital food service areas, etc. As they are man-made, these materials can be fabricated in large sizes, resulting in less joints and better aesthetics.